Although DayZ Standalone has managed to secure a place Steam’s top 10 sales chart almost consistently since it’s release last Christmas, complaints about the ongoing poor optimization and bugs never seem to be far away. 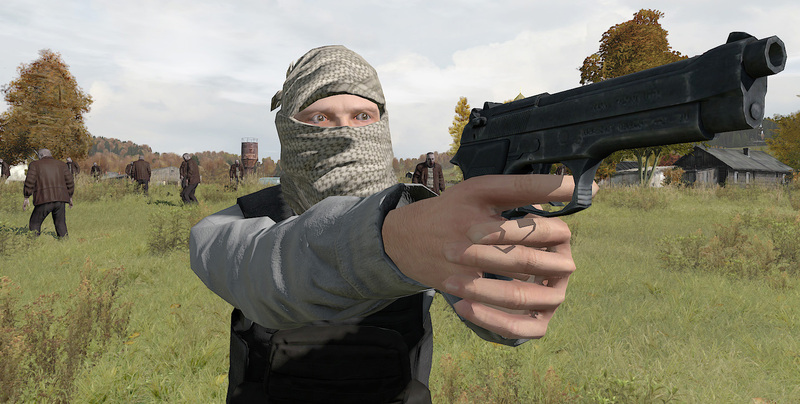 Any criticism is quickly met with the usual ‘this is an Alpha product’ arguments from Bohemia Interactive’s community managers and producers but after months without much improvement, it seems as though some users are now taking matters into their own hands. After all, there’s only so many times that you can lose a 3-week old survivor and a rucksack full of loot to a gravity defying zombie before you start to get a little pissed off. Introducing DoomZ, a retro DayZ port made entirely in the Doom engine. This one-man made project so far includes some hugely impressive features such as a day and night cycle, camp fires, realistic weather and destructible glass. The fact that none of those features were included in the original Doom or Doom 2 makes this concept even more interesting. DoomZ doesn’t include full multiplayer features yet and the creator seems slightly unsure regarding the project’s future direction but it could still be worth checking out, even just as a possible taste of things to come. Bohemia were quick to kill off an Arma 3 version of DayZ mod shortly before the Standalone Early Access version launched last year but there is nothing to say that the zombies of Cherno rely entirely on Bohemia’s game engines and technology to survive.